On our way to Escapade we were very excited to return to the Benson Arizona area. Benson is along I-10 in the southeastern part of the state. It’s along the busy Union Pacific railroad line and Amtrak’s Sunset Limited stops here. 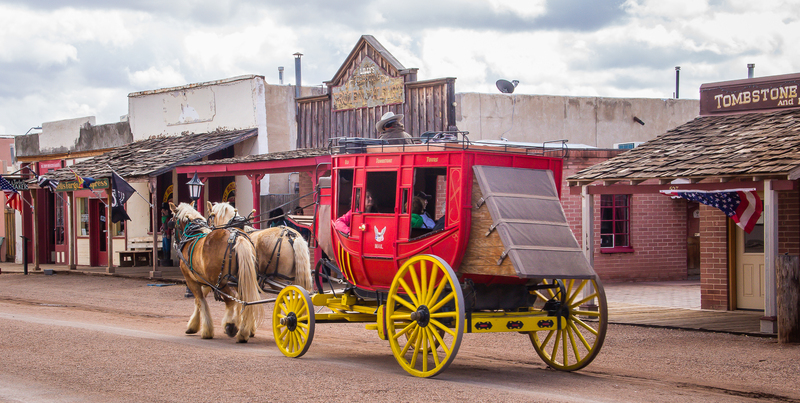 Its a great base to explore Tombstone, Bisbee, Cochise Stronghold, Chiricahau National Monument, Kartchner Caverns and more. 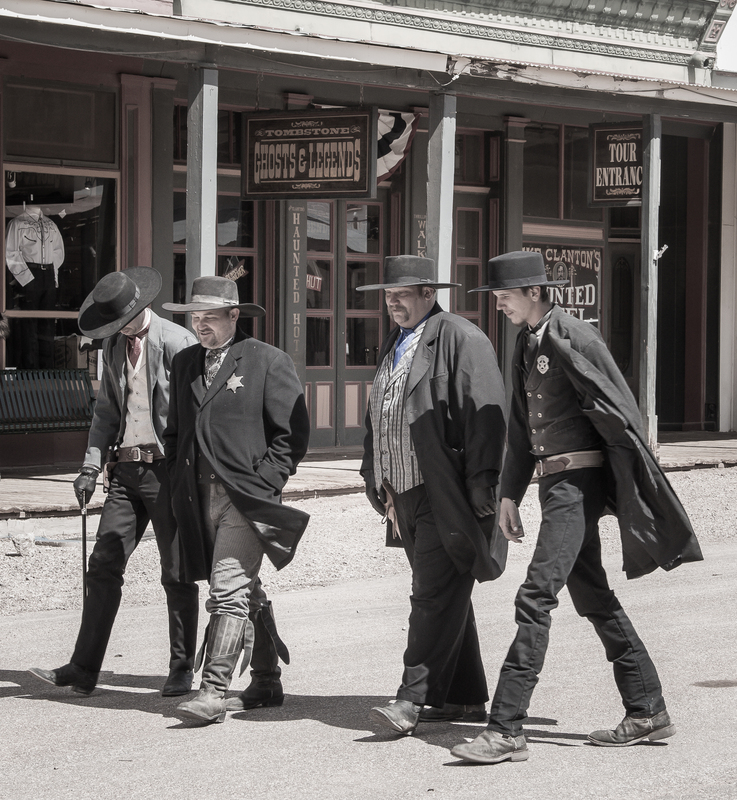 Tombstone is the “town too tough to die” and famous for the “gunfight at the OK corrall”. 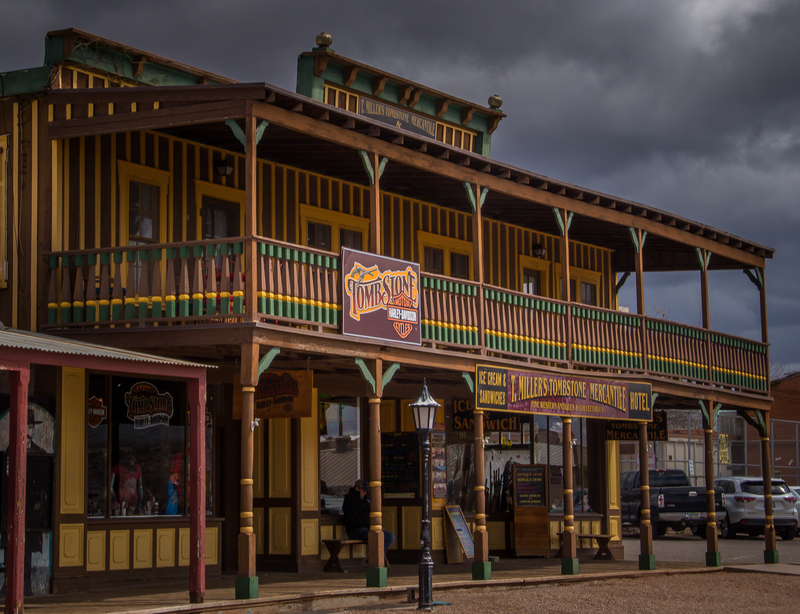 Today its mostly a tourist town with re-enactments, stage coach rides, saloons and gift shops. 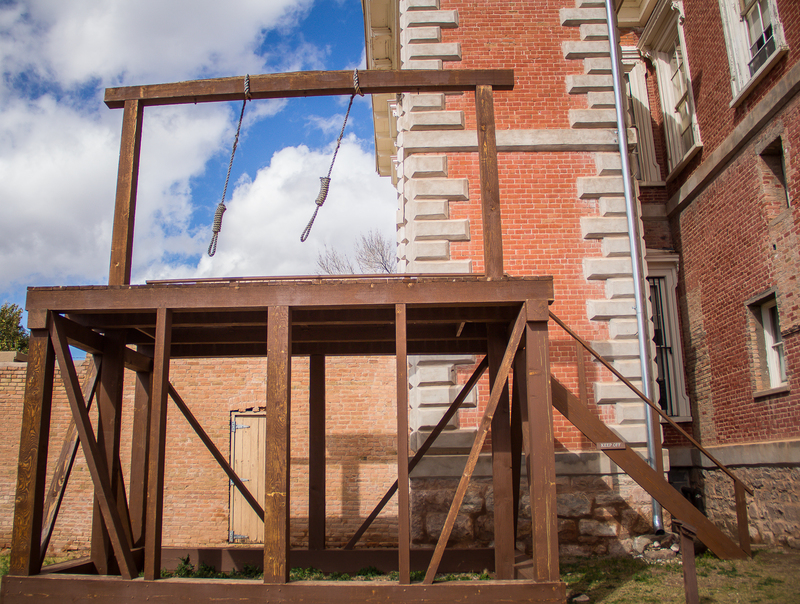 The old courthouse still stands as a museum complete with the hanging gallows. 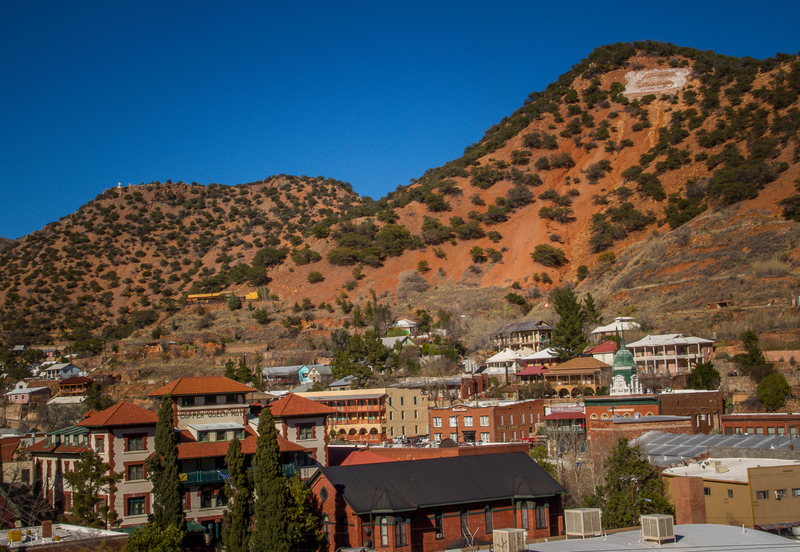 Bisbee is the county seat of Cochise County and once a booming copper town. We toured the Historical Museum and the Copper Queen Hotel. There is a thriving arts community and nice collection of shops and restaurants. 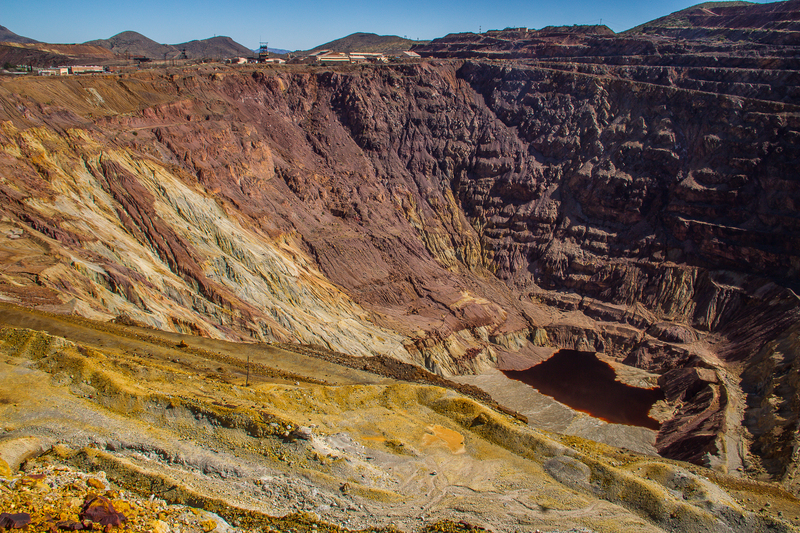 The huge Lavender Pit copper mine sits idle at the edge of town. One of our favorite authors, J.A. 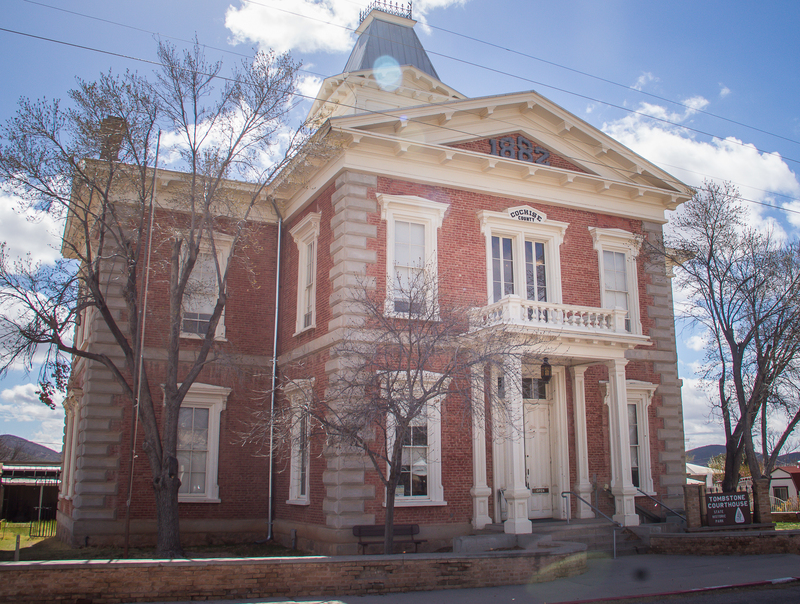 Jance, writes many mystery novels centered around Bisbee. We always enjoy exploring areas where novels are based. 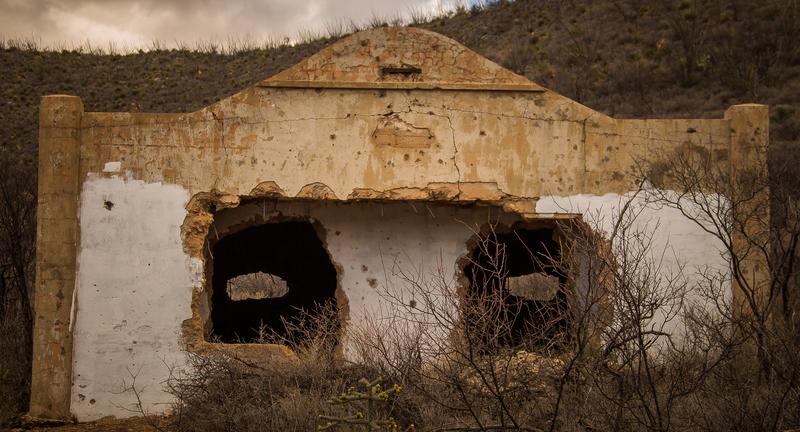 Fairbank is an abandoned or ghost town between Bisbee and Benson. 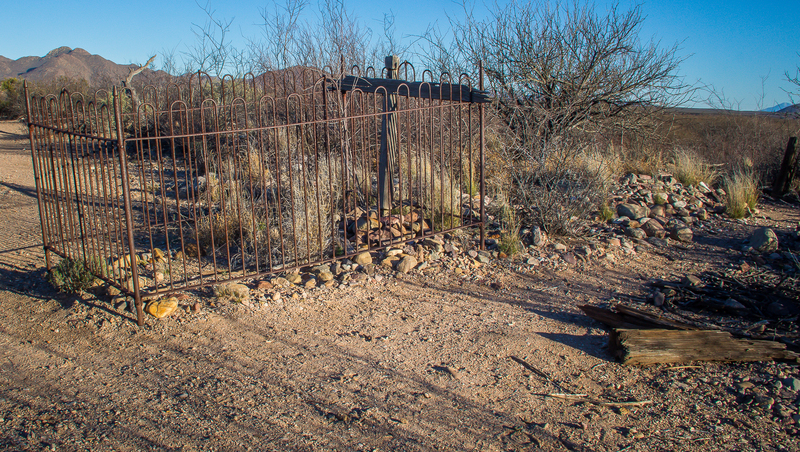 It was once a thriving community with a railline that served Tombstone. 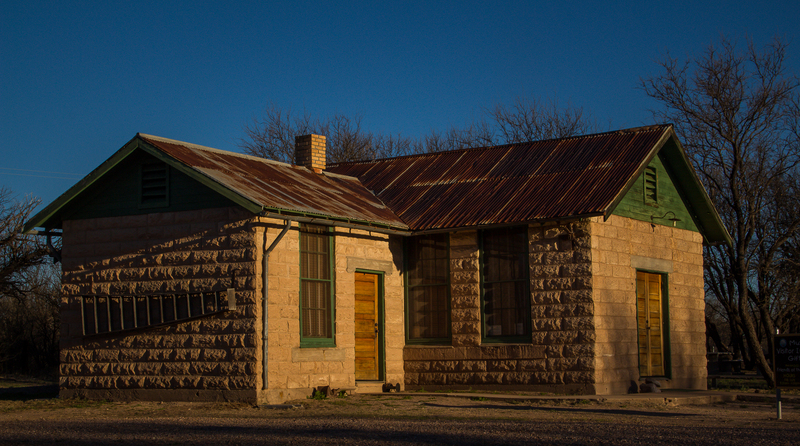 Now just a few buildings remain including a restored schoolhouse. There is a short hike to the old cemetery. 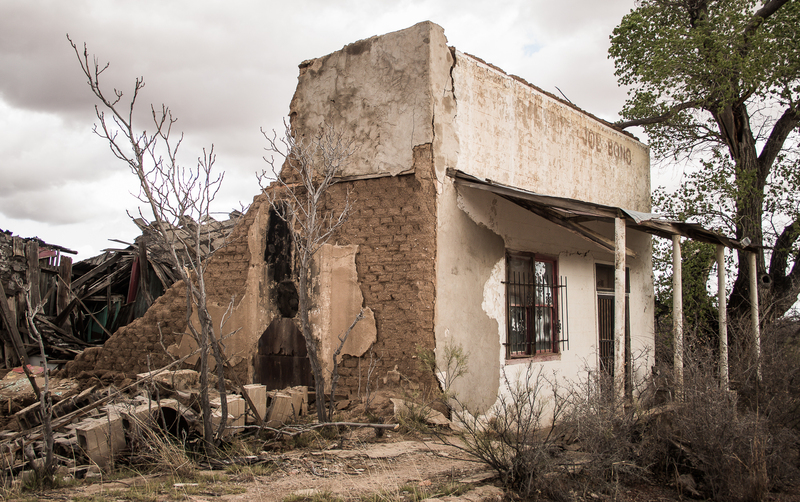 Gleeson and Pierce are two more ghost towns we found in this area. Oh the stories they could tell. 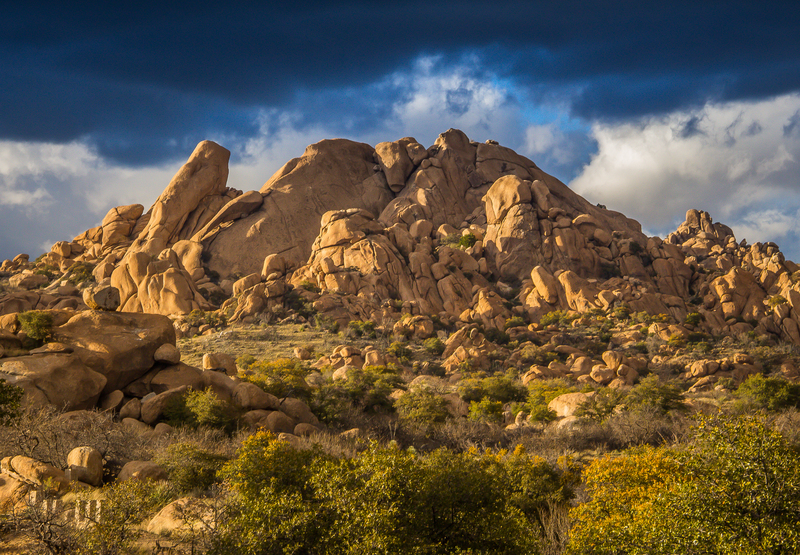 Throughout this area the landscapes are spectacular. 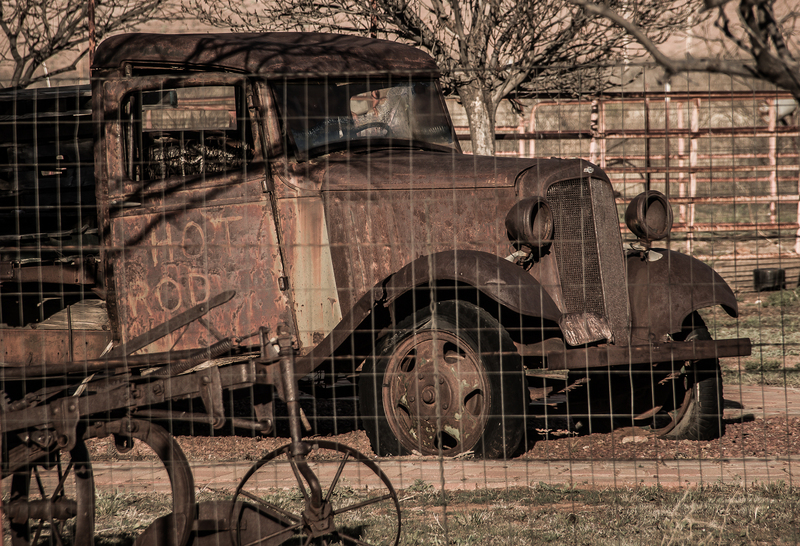 This entry was posted in Arizona, RV Travel and tagged Benson AZ, Bisbee AZ, Tombstone AZ. Bookmark the permalink. Thanks Linda. We are having some fun with this lifestyle choice.